PRICE REDUCED! 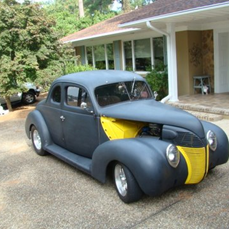 1939 Ford Standard Coupe. 350/350, Nova rear using Chassis Engineering rear kit, Fatman M2 frontend w/pwr steering & 11 inch brakes, American mags, VDO gauges. Setup for A/C using Vintage Air Gen II A/C unit that needs to be installed but all parts included. $18,700 OBO. Car has had recent body work and is now flat black... looking good! Call Gene at 757-986-3734. 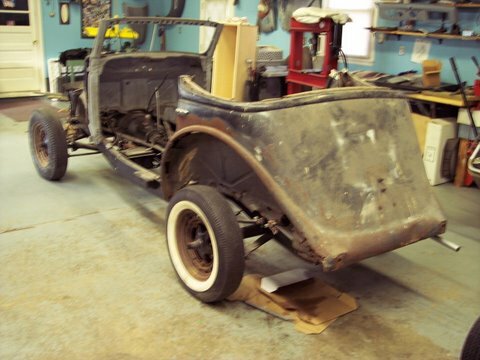 Car is in Suffolk, VA.
1936 Ford 4 dr sedan convertible project car., rolling chassis, V-8 flathead , reconditioned front and rear fenders 80% of parts to complete needs floorplan. Asking $10000 or best offer. Contact Wes at bwbockert@metalink.net or call 419-344-5751 for more information. Car is in OH. 1935-36 convertible sedan parts for sale: all four window regulators, $50 each; vertical glass runs for the rear doors, $40 each. All are nice used parts. Jon Anderson, mmajma@comcast.net, 724-926-8265. 1936 Ford V-8 horn grilles. 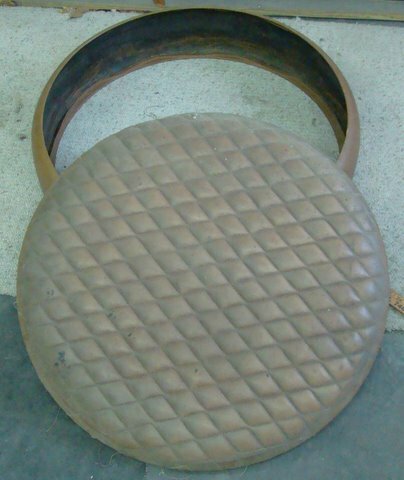 Smooth top spare tire cover. Upholstery included at no additonal cost! Wrapping band is about 6 inches deep. 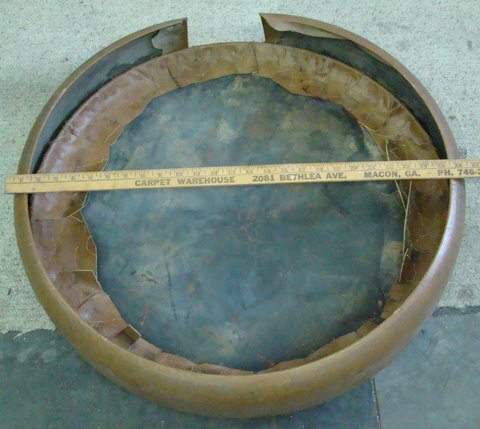 Overall diameter is about 27 inches. Came off an old 36 custom but not a stock 36 cover... this one's nice and smooth. A great place to show your pin striping skills. **Price reduced to $125 obo. Call Al at 757-334-5618 or email al@36fords.com. I have many old Hot Rod Magazines. This magazine is CarCraft Jan of 1959--$4 plus $3 shipping. Email questions or concerns or offers. Email al@36fords.com or call Al at 757-365-9905. Please email al@36fords.com or call Al at 757-334-5618 for ALL of the following ads. Pair of 1954 CHEVROLET front spindles with backing plates. $100. 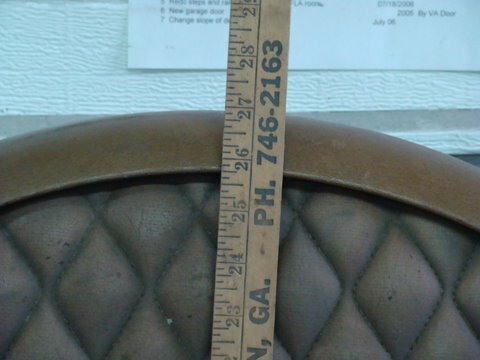 42-47 Ford TRUCK inner fenders. In pretty good condition. $60 for the pair. Email for pictures. 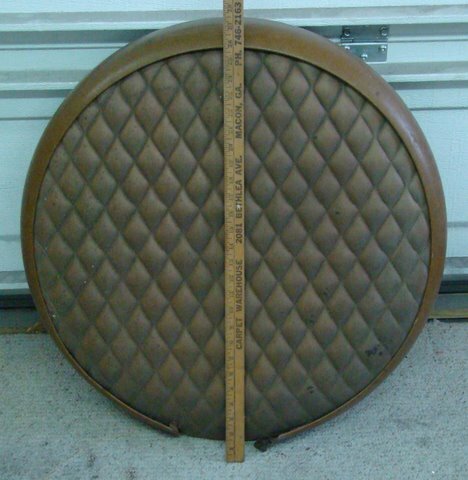 One decent 17 inch Ford wire wheel. $20. Email me with 36 parts needs. Lots of old Hot Rod, Rod & Custom, Car Craft, and Popular Hot Rodding magazines. Email with particular wants. More items later. Feel free to make offers if prices don't seem reasonable to you. I'll have emailable pics available for some of the stuff later.